Deft was founded in 1953 in a Los Angeles paint store and today the Deft line includes polyurethanes and water-base finishes. Founder Bill Desmond's children lead Deft today, upholding the tradition of quality that has become their hallmark. Deft's family of 140 employees is dedicated to producing finishes and coatings of the highest quality. 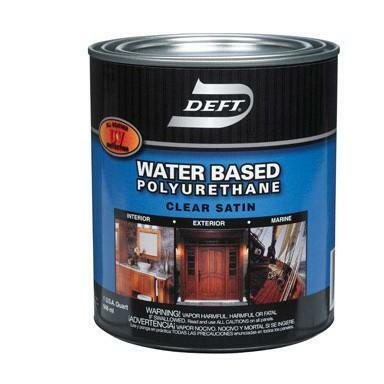 We confidently sell Deft's waterborne interior/exterior urethane as a premium-grade, high quality product.